Posted on January 14, 2014, in Top 10s and tagged Cianfrance, Coen Brothers, Cuaron, DiCaprio, Jonze, McConaughey, McQueen, Mikkelsen, Nichols, Redford, Scorsese, Sheridan, Spike Jonze, Swanberg, Top 10, Vinterberg. Bookmark the permalink. 55 Comments. Mud and Gravity are certainly up there for me. 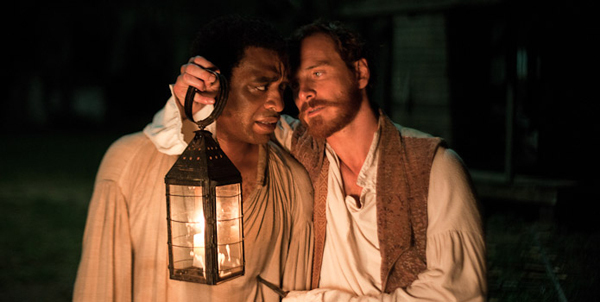 And looking forward to seeing All Is Lost. 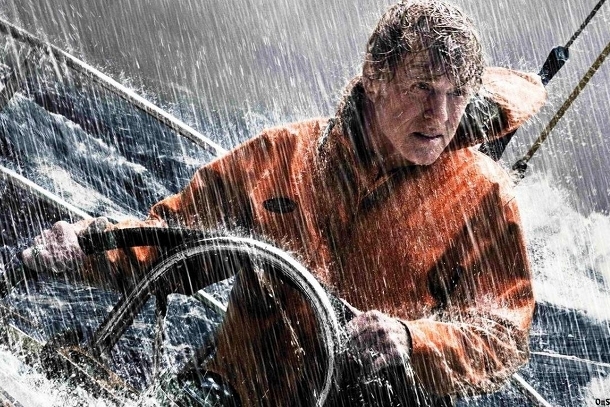 I’m sure you’ll enjoy All is Lost, really caught me off guard! 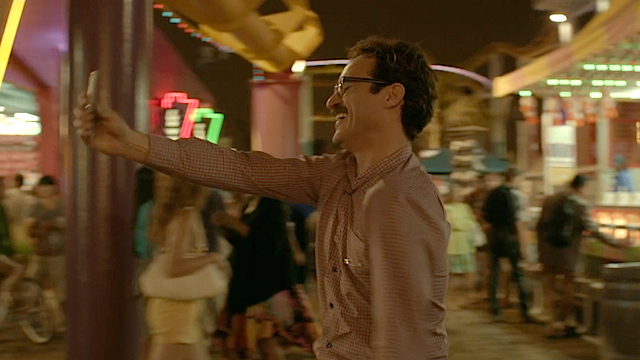 The director of All Is Lost may be one to watch… director of “Margin Call” as well. Hope he keeps doing that level of movie, and doesn’t get into the big blockbuster arena. Never seen Margin Call, any good? What he achieves with All is Lost baffles me. Hope he continues the trend as well :). Agreed. A very good film about a not so great time. Also, I believe it is your Guest List I am posting this Friday :). Great list, Joseph. Where’s Pain & Gain? :p I really should give Drinking Buddies another chance. I had to turn it off. The full improvised script bugged me too much. Thanks Nick!! Pain and Gain just didn’t make the cut ;). Love Drinking Buddies, but to each their own. Give it another chance if you want :). It really is a great flick! Out of your list I have seen exactly ONE of these movies…. so – WHAT’S WRONG WITH GRAVITY?????? Just kidding of course – good work!! Lol, there’s nothing specifically wrong with Gravity, just enjoyed those films more :). How have you only seen one?! Get on that, check them out! Indeed, what a crazy, awesome year it was :). Thanks Vern! Absolutely adore Drinking Buddies, happy to hear you feel the same :). Haven’t seen Drinking Buddies, but otherwise our lists are similar. Mine is ordered a bit differently, but there is nothing on here that strikes me as oddly included. Great work! Thanks James! Definitely check out Drinking Buddies, you won’t regret it. Did you post your list yet? If not let me know when you do :). I haven’t finalized or explained it yet. But my site has an evolving list on it, and we have a whole bunch of shared titles. Yours is the closest to mine I’ve seen yet. Sweet! Look forward to checking it out :). Nice list Joseph. I was a bit gutted to see The Place Beyond the Pines on the sidelines and then 12 Years a Slave and The Hunt so far down but I’ve yet to see Her and The Wolf of Wall St, so you’ve got me very intrigued. I should check out Drinking Buddies as well. Thanks Mark!! Yeah, sorry about that ;). Her and Wolf are amazing, you need to see them!! Drinking Buddies as well :). Fine list. I really want to see Wolf of Wall Street and All is Lost. Thanks bud :). How have you not seen Wolf?! All is Lost is quite the spectacle as well. You need to check both flicks out! Lol, it’s all good :). I’m sure you’ll become infatuated with Wolf once you can get out of the house ;). Thanks so much Abbi :). Nice review. I still want to check out a few more movies before I make my own, but we agree on many of the same movies. 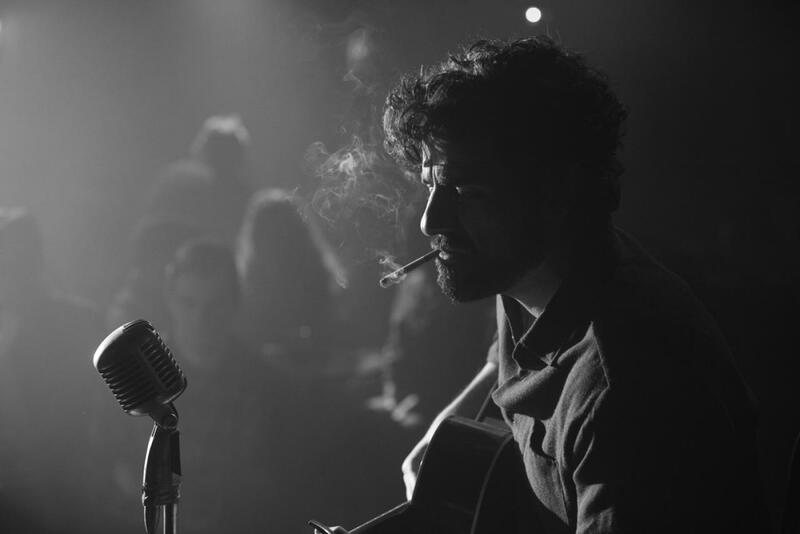 Her, Inside Llewyn Davis, 12 Years a Slave, and The Wolf of Wall Street would be in my top 5. Thank you :). Looking forward to your list! Can’t go wrong with those flicks right there. Which ones you still looking to watch? I’m hoping to see The Past, Blue is the Warmest Color, and The Great Beauty first, but 2013 has been very strong. Need to check out a few of those myself, look forward to your take on them :). I love these lists and for many reasons. Some people look at them as pointless but I think they’re a lot of fun. But more than that, as you read them you begin to see what movies affected the most people. I like that. You have a lot of good movies on your list several of which were in my top 10 as well. One of the movies you listed would have made my top 10 but I had not seen it at the time. I have now & the review for it hits tomorrow. I really don’t care for “Wolf” but I absolutely love that you put “Mud” so high on your list. It was my number two as well. Also like seeing “All is Lost”. It’s a really, really good film and great work from Redford. Completely agree, really gives you insight into what makes a person love the flicks they do. Yeah, you had told me you didn’t much care for Wolf. I’m fairly certain you were one of the people who told me to watch All is Lost, so happy you did lol. Mud is phenomenal, easily one of the year’s best. Looking forward to the mystery review :). Thanks Keith!! Been looking forward to your list. Still a few on there I need to catch, but that is one fine looking list sir (good to see Place Beyond the Pines get a mention). Wow, thank you very much! Of course I gave Pines a mention, love that flick ;). Look forward to reading your list! To be honest I don’t think I’ll be doing one. I thought about it, but haven’t seen enough of the buzz movies to make it a worthwhile list I feel. It’s up to you :). Would be cool to see a list comprised of non-mainstream entries though. I LOVE your list Joseph, and there is NO way that I can dispute your number one whatsoever! 😀 Really nice picks here, this past year had a few good titles! I’m so looking forward to seeing Wolf of Wall Street! Great list. Thanks!! No doubt in my mind that you’ll love Wolf :). Awesome to see Gravity, The Hunt, Her, Mud and Wolf here, they are in my top 10 as well. Mikkelsen was mesmerizing in The Hunt, shame he won’t score big awards for that one. Thank you :). 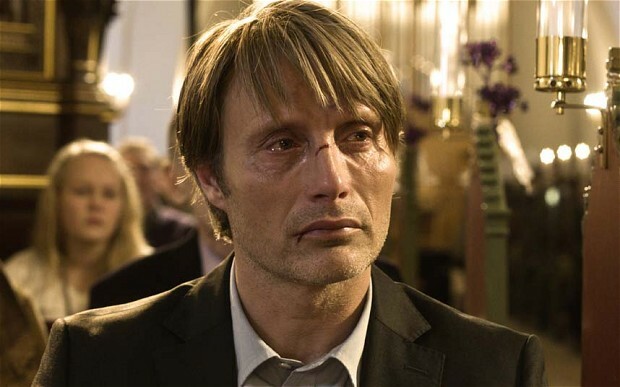 It really is a pity that Mikkelsen won’t get love this award season. I’m my opinion, The Hunt is the best foreign film of the year, hands down. I didn’t get around to seeing Place Beyond the Pines until this month but it would be on my honourable mentions too if I made a list. Nice picks, go Wolf! Thanks!! 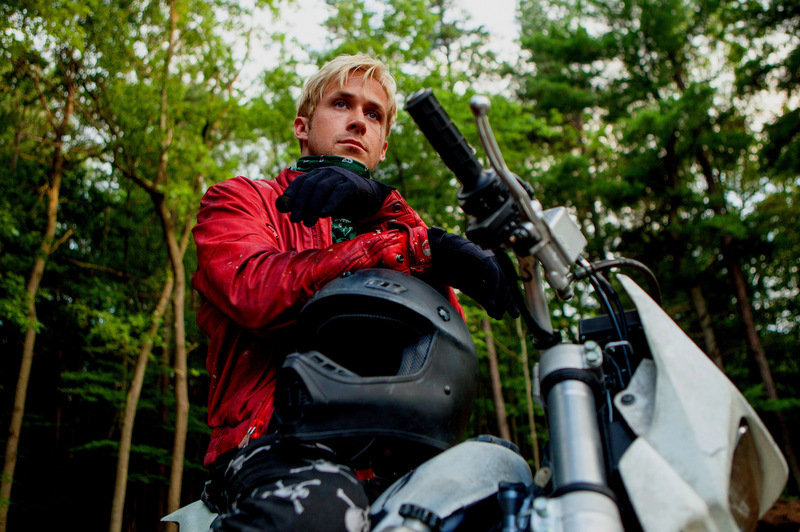 Place Beyond the Pines is a great flick, just got lost amongst the talent this year. Wolf is the one and only! Superb list. Even though I’ve only seen 2. I really need to catch up! Wow, only 2? Geez Fernando, you need to get on with it and watch these flicks ;). Yes. I’m trying my best! I just need to find the time! 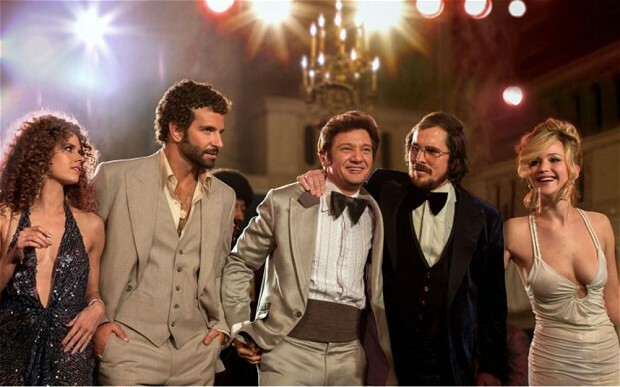 haha American Hustle tomorrow! Can’t wait to see The Wolf of Wall Street after seeing this. Number one of the year! And there was me thinking nothing was going to beat Gravity, 12 Years or Captain Phillips! Oh, Wolf is much better than all those flicks you named, in my opinion anyway :). Love “Only God Forgives,” such a misunderstood, underrated piece of cinema!